Keep your desk neat and tidy with an elegant desk organizer. It adds a touch of class to your desk. 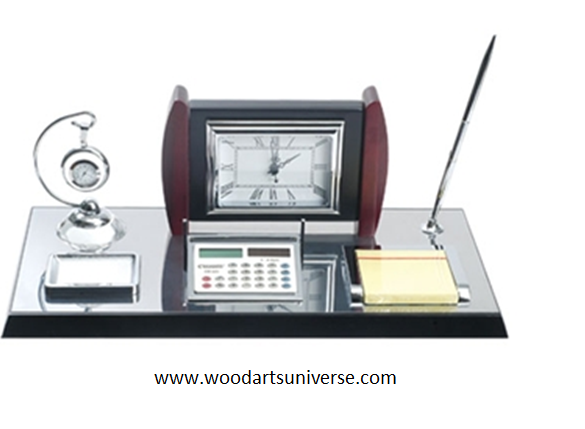 It features a pen stand with clock, calculator, notepad, memo pad etc.